Apple has been working to make more of its devices produced in India, as it tries to reduce the cost of bringing its products to the emerging market, but after working with Wistron on two iPhone models for some time, it has only recently added a third model to the roster. "We are proud to be producing iPhone 7 in Bengaluru for our local customers, furthering our long-term commitment in India," a statement from Apple advised to the Economic Times. It is claimed the Bengaluru plant has been producing the model since the start of March. Wistron was previously reported to be increasing its investment in the country, though there was some confusion about what the investment would involve. While IT minister Ravi Shankar Prasad claimed it would involve "the latest iPhone models," later reports cast doubt on the assertion. 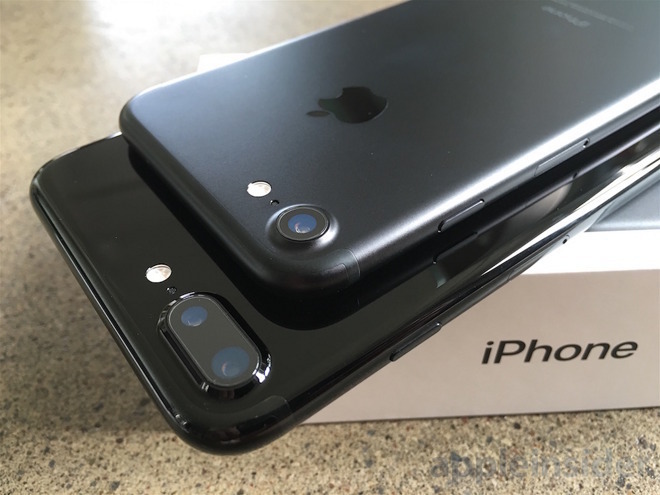 Sources claim the iPhone 7 is being made in the country now because it is cheaper than importing, due to the assorted tariffs applied to the devices. The fees are an attempt by the government to boost local manufacturing in its "Made In India" initiative. Despite the commencement of production, it is thought the cost savings of local assembly won't be passed on to consumers. It is thought the iPhone 7 will remain at its current pricing, but with Apple retaining a slightly larger profit margin per device versus imports. "iPhone 7 is a low-risk kind of product for Apple to make out of India," IDC research director Navkender Singh suggests, with it being an attempt by the company to validate its production capabilities in the market before shifting to other models. For the increased profits from the iPhone 7 production, the analyst proposes the funds will be used "for market development purposes most likely." The news of the iPhone 7 production surfaces at the same time reports claim Foxconn is getting close to producing the iPhone X in the country. The facility allegedly needs around $300 million in investment before it will be able to start production.